Plastic surgery is rapidly gaining pace in the surgery world and hence become a lucrative field for aspiring doctors. There are many who associate plastic surgery only with cosmetic enhancements, but this is not the case. Today, the field has also been including a wide range of therapeutic and reconstructive procedures. The United States is home to a lot of prominent and top-ranked medical schools along with residencies at university-affiliated teaching hospitals in the field. Harvard University is affiliated as the best school for medical research in the US. It houses one of the best plastic surgery programs in the world. The Harvard Plastic Surgery Combined Residency Program is seen uniting all Harvard-affiliated hospitals into one comprehensive training resource for aspiring plastic surgeons. Students in the plastic surgery program rotate among five teaching hospitals in Boston. The one-of-a-kind integrated residency approach help a lot towards developing the right kind of skills and ethics need to make a career in the field. University of California San Francisco houses one of the oldest and most respected plastic surgery schools in US. The department was founded in 1951 under the Plastic and Reconstructive Surgery program with 15 clinical and 8 full-time faculty members. They conduct a six-year program. It includes three years of clinical study and another three years of residency at renowned Bay Area hospitals. Here is the catch. Graduates from this program are automatically eligible to enter into the American Board of Plastic Surgery certification process. Ohio State University is ranked as one of the top 25 primary care medical schools in the country. It is a well known institute for offering top-flight plastic surgery program in the country. It is the only university that runs its program based in a university-owned teaching hospital. Ohio State offers its students with a comprehensive six-year curriculum. 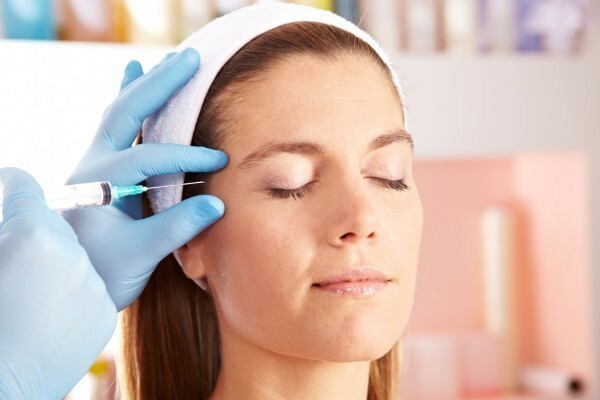 The overall general and plastic surgery program includes two months of intensive training on the business aspects of cosmetic surgery practice as well. They strive for a successful future in the field of plastic surgery in the students. Stanford University is another trusted and big name among the medical research schools in the US. The plastic surgery residency program in the Stanford School of Medicine runs for six years. The comprehensive education process is conducted in the Stanford-area hospitals. The department was founded in 1965 under the Division of Plastic and Reconstructive Surgery at Stanford. It has been taking a sophisticated instructional approach on various areas like craniofacial and microsurgery. This plastic surgery program also looks after children’s reconstructive techniques. Brown University offers one of the oldest plastic surgery programs in the US. The Department of Plastic and Reconstructive Surgery was founded in 1963. It is a residency program conducted at the Rhode Island Hospital in Providence. Students have to go through a rigorous training process. They are made to study general surgery for four years, an elective surgery for one and plastic surgery for the final two years. Brown has been effectively creating well-rounded general practitioners with specialization in plastic surgery. Students are also taken out for paid trips to all major national and international medical conferences in the country.